Drawing on years of fieldwork, Doing the Best I Can shows how mammoth economic and cultural changes have transformed the meaning of fatherhood among the urban poor. Intimate interviews with more than 100 fathers make real the significant obstacles faced by low-income men at every step in the familial process: from the difficulties of romantic relationships, to decision-making dilemmas at conception, to the often celebratory moment of birth, and finally to the hardships that accompany the early years of the child's life, and beyond. Kathryn Edin is Distinguished Bloomberg Professor in the Department of Sociology and also teaches in the Krieger School of Arts and Sciences and Bloomberg School of Public Health at Johns Hopkins University. She is the coauthor of Doing the Best I Can: Fatherhood in the Inner City, Promises I Can Keep: Why Poor Women Put Motherhood before Marriage, and Making Ends Meet: How Single Mothers Survive Welfare and Low-Wage Work. Timothy Nelson is Senior Lecturer in Sociology at Johns Hopkins University. He is the author of Every Time I Feel the Spirit: Religious Experience and Ritual in an African American Church. 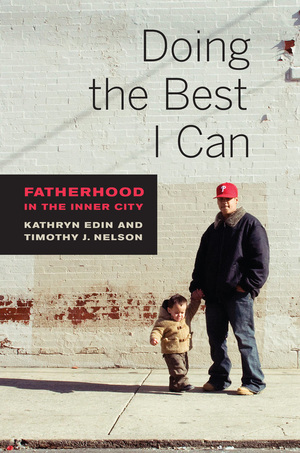 “This warm and often moving book cuts through the rampant stereotypes and misconceptions to give us the most insightful treatment yet of fatherhood in the inner city. Nelson and Edin are to be congratulated.”—Bob Herbert, Distinguished Senior Fellow at Demos and former op-ed columnist for The New York Times.